Thrillers can follow a type of rigorous formality sometimes, even the finest ones rarely stray from the preordained path. 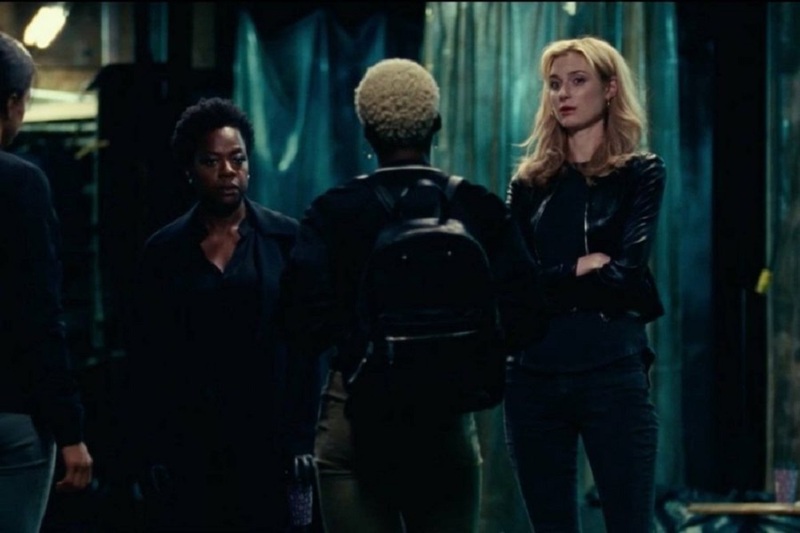 With Steve McQueen’s newest film Widows, it purposefully lines up the typical elements and then brick by brick deconstructs them to weave a tapestry of the familiar elements, but sewn with atypical shades. The film has an ingenious premise. Three husbands are killed during a heist gone wrong and their three wives need to steal back the amount of money that was destroyed in the process. The plot is the perfect elevator pitch. Within seconds of hearing it you could assemble a quick punchy thriller. 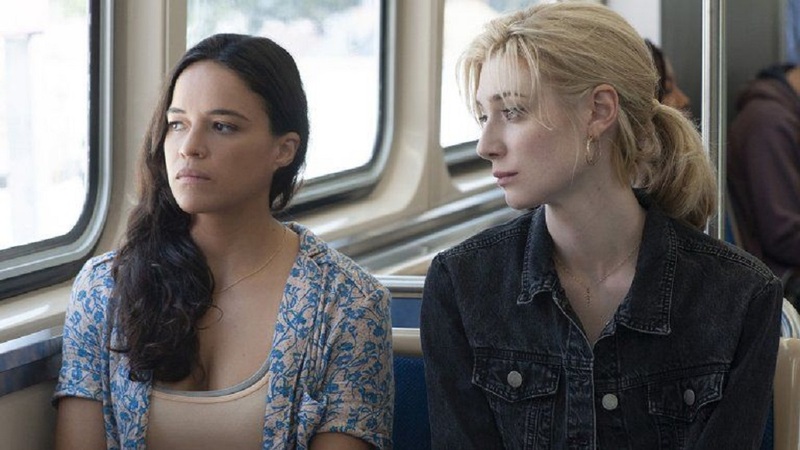 But, Gillian Flynn’s script for Widows takes the base elements of the story and crafts a heist thriller that is subverted by a political drama that then turns into three women ultimately finding the heist as a redemption from their former lives. From the opening scene there is a purposeful disorientation to McQueen’s style. The opening moments show a car chase from an unmoving camera staring out the back of a van. This steady camera captures the chaos of the scene, but it also serves a tricky plot purpose. While this car chase is playing McQueen crosscuts moments of each of the couples at home. Structuring the action this way thrusts the viewer into this story, then violently jolts you out of a typical mindset. In addition to the heist storyline, there is a political showdown between a legacy Chicago politician played by Colin Farrell that is trying to win his father’s alderman seat as he retires. His opponent played by Brian Tyree Henry comes at Farrell because he is a white privilege career politician looking to take over a predominantly black neighborhood in the city. This story thread turns the typical expectations of this type of narrative on its head. Farrell’s character is an oppressor fighting to get out of the system he was raised in while Henry is a man of the people that is looking to get into politics in order to get kickbacks from all the people whose wallets he will help thicken. The primary character is Viola Davis’ widow. She assembles the so-called team of Elizabeth Debicki, Michelle Rodriguez, and eventually Cynthia Erivo. But, in the end, they aren’t much of a team. Davis’ character demands they each due a job without ever asking if they will know how, she clearly tells them that they will never speak after this, and she uses her slightly elevated place in society as a chip against them. It is the kind of role Davis was born to play. She, perhaps better than any other living actress, can manifest grief in the most palpable way, giving glimpses of her interiority where other actresses would have put up a barrier. Davis is also the type of onscreen presence that commands an authority. But, the standout might be Debicki’s character. Debicki is a striking screen presence standing at nearly 6’3, towering above the other women, and McQueen certainly frames the women in ways that accentuate her height. She looks like a magazine cover girl that has been curdled by years of abuse from all her relationships. Through this heist she begins to discover when and how to take charge of her life. With each individual story Flynn’s screenplay builds a story about women who have had their identities erased or overshadowed by their husbands. In addition, Flynn is using this tale of double crosses and political intrigue to discuss the abuses of power and how they can ripple through individual lives without the system ever understanding how impactful it is. There is a central plot reveal involving Davis’ son with Liam Neeson. It has fallen under some controversy for theoretically coming out of nowhere. But, the whole movie hinges on that one crucial moment. Flynn decides to make this thread be exclusively about race and how it shapes the culture at large. Race also plays a crucial element in the political battle. There is one bravura moment where the camera sits on the front of car and travels in real time without cutting. By doing this McQueen visualizes the idea of the impoverished inner city slums being right next to the extravagant wealth. It was a camera move that has to be, and can only be told, cinematically. No other medium can display the juxtaposition the way a camera is able to highlight. McQueen and Flynn are attacking weighty subject matter, but in the end, it is still a pulpy thriller. There are still moments of ecstatic entertainment. The marked difference is the way McQueen lets the performers give all their characters interiority. Even characters that have one scene have clear character arcs and understandable motivations. While there is a constant feeling of brooding suspense lingering under the surface, the central heist is such a minimal piece to the film. This isn’t something that is particularly concerning to Flynn. She has several more things she is preoccupied with. 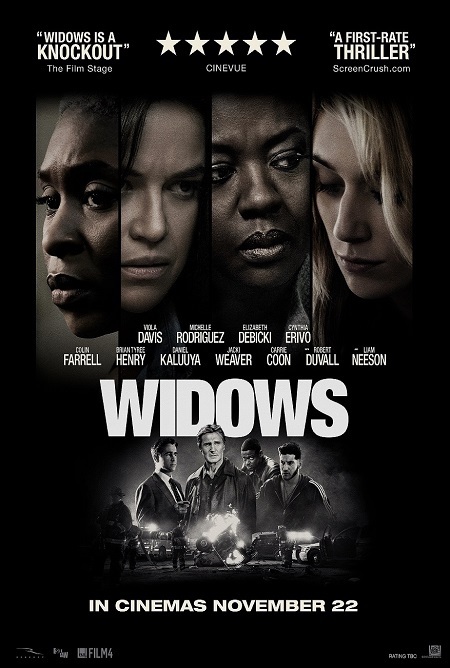 We are in the heart of awards season and it will be interesting to see what, if anything, Widows can do. There is a good chance Daniel Kaluuya gets recognized for his terrifying performance as a heavy for a local gang, Davis is certainly capable, but I think Debicki is the one that really deserves the attention. In the hands of a lesser actress that character turns into the pretty but vapid piece of the assemble. With Debicki though, she uses her looks to play up or down her intelligence, manipulating her persona for the situation. A genuinely well-made thriller is one of my personal favorite genres. I enjoy the tension, the switching allegiances, and the excitement of the plot mechanics falling into place. 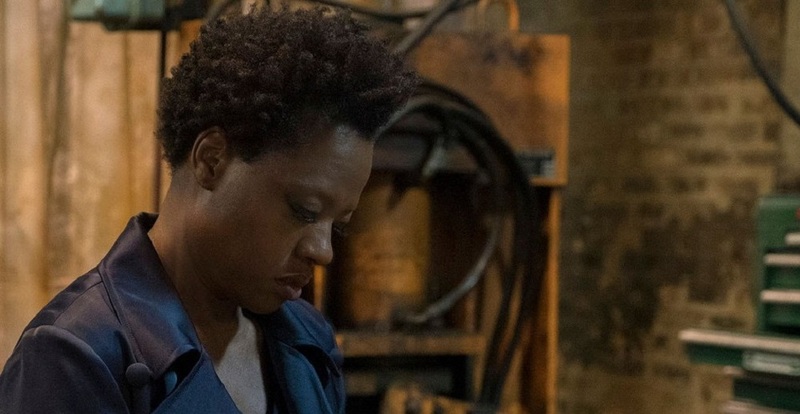 Widows has all of this and is buoyed by a deft script that subverts the genre and features flawless direction from McQueen. It explodes off the screen with simmering tensions that lead to even more intricately woven personal details. It is personal and painful, but ultimately a riveting tale of suspense that deserves attention.